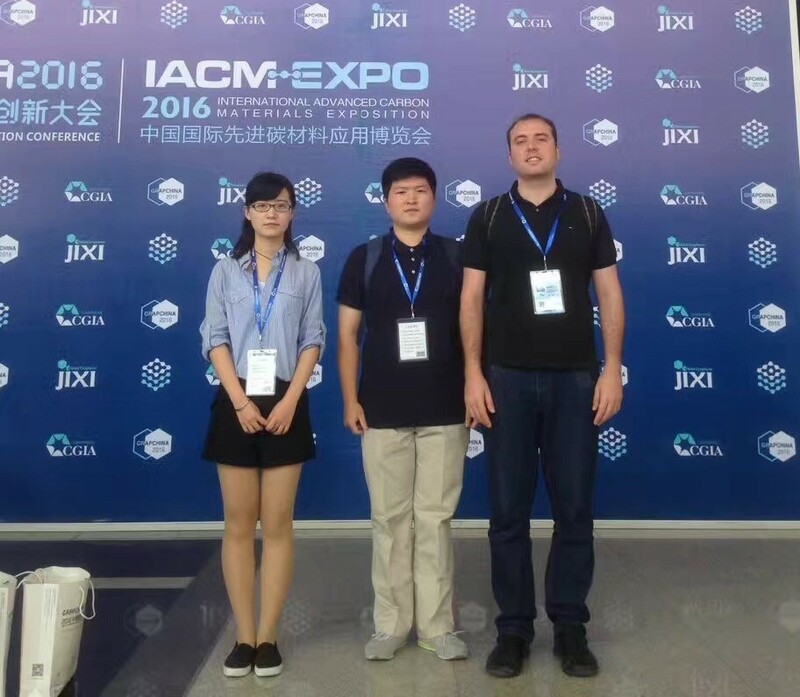 The members of our group, Bingru Wang, Jing Xu and Mario Lanza participate in 2016 International Graphene Innovation Conference in Qingdao, China, on Sep. 22th-24th of 2016. Professor Mario presented an oral speech about Cost-effective fabrication of ultra durable graphene-coated nanoprobes for scanning probe microscopes. In this meeting, we had the opportunity to listen the talks and discuss with world leading scientists like Deji Akinwande (University of Texas at Austin, USA) and Jingxu got the opportunity to work in his group for one year.